An event scheduled by the campus Republican club at UC Berkeley featuring Milo Yiannopoulous, the glossy, terrifying poster boy for the far-right was cancelled Wednesday after 1,500 student protesters started fires, broke windows and refused to disperse. Fearing for the safety of the attendees and the protestors, the university pulled the plug on the event and have been trying their damnedest to disperse the protestors, who will not back down. Yiannopoulos’s scheduled appearance at Berkeley was part of his college tour and he’s been met with a similarly chilly reception at other universities as well. Protesters at UC Davis shut down a planned event earlier this month featuring Yiannopolous and known cretin Martin Shkreli, who reportedly got dog poop flung in his face while on campus. The university stressed that his planned visit to the campus was in no way meant to serve as an endorsement of the hate speech he is so fond of spewing., citing their commitment to free speech. 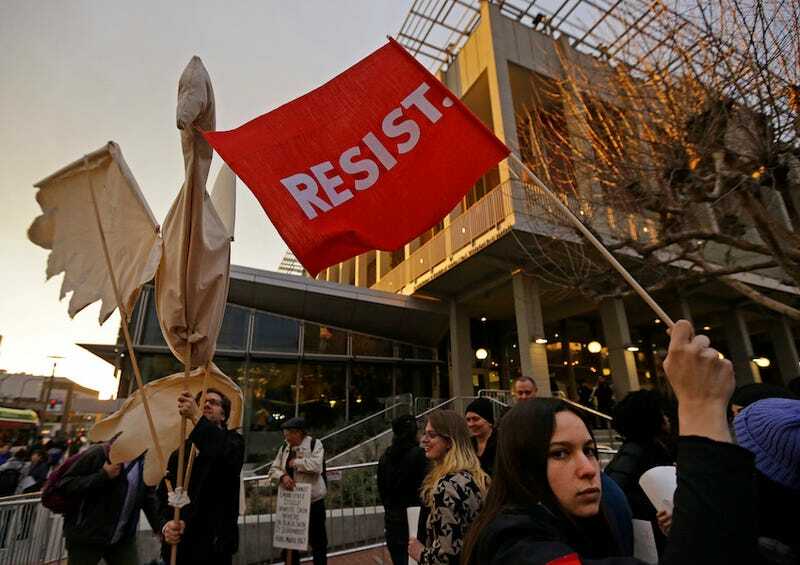 Pieter Sittler, a spokesperson for the Berkeley Campus Republicans clarified that “he gives a voice to repressed conservative thought on American college campuses” and uses “levity and humor” to get his point across. Sittler also suggested that one should not take everything Yiannopoulos says literally, but even if you take that into consideration, that still doesn’t make a whit of what comes out of his mouth okay. As of 8 P.M. PT, it appears that the protesters have moved off campus and taken to the streets. Yiannopolous was also scheduled to appear at UCLA, but his invitation was rescinded, making Berkeley his last stop. Sad!